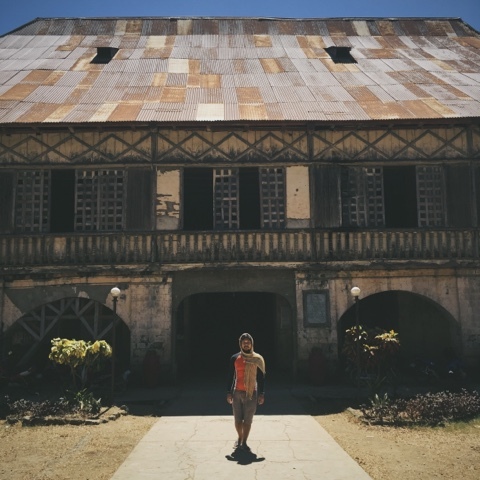 "You are not a true Oponganon if you have not heard of this place", says Juliet, a SACS alumna. Well, she's got a point! Lumpia ni Senyang has been in the business for several years. From selling at the gate, Nang Senyang was able to open a place right outside St Alphonsus Catholic School - Lapu Lapu. What makes Lumpia ni Senyang so special? As someone who just tasted the specialty recently, I'd say that the taste of the lumpia is nothing special. Taste like typical vegetable lumpia. But, the sauce is superb! One can't simply skip the drinks if you're dining at Lumpia ni Senyang. The spicy sauce is hot as seven hells combined! God, it'll burn your lips! And this what makes Lumpia ni Senyang stand out from the competitors. The lumpia goes really well with the spicy red sauce and spicy vinegar. But for people like Juliet who grew to love Nang Senyang's Lumpia, they'd say that it's the nostalgic effect every bite provides. They often see their former classmates, batchmates, faculty, etc dining in this well loved place.The place rekindles happy thoughts of their early years in Lapu Lapu. Chill! It's not a fancy restaurant. Right beside St Alphonsus Catholic School - Lapu Lapu. Make sure to visit this place when you're in Cebu. This is just a taxi-ride away from the beautiful resorts in Mactan. Tabuelan is just a few hours away from Cebu City. 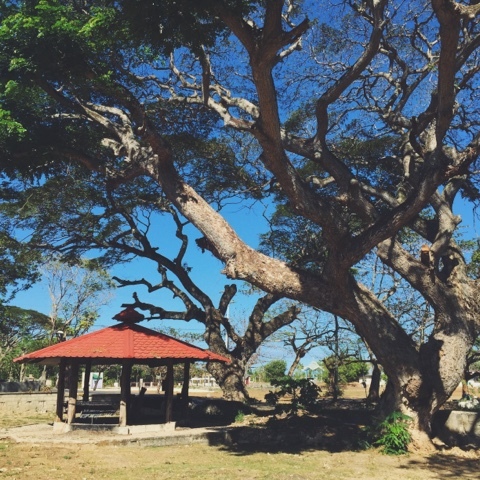 This easygoing town is in between San Remigio and Tuburan. If you wish to be on a pristine beach minus the crowd, Tabuelan is the place to be. Anyone can visit Tabuelan via two popular routes. Some take the Balamban route passing through the Transcentral Highway but most take the main city route. We opted for the main city route which will pass through Mandaue City, Danao City up to Sogod. We took a bus from Cebu North bus Terminal. There are several vehicle choices in the North Bus Terminal that ply the Tabuelan – Tuburan route. For a pleasant ride, the best choice is the Ceres Bus with Aircon. They have comfortable seats, cold air conditioning and they play full – length movies. The bus will drop you off at their empty Tabuelan Bus Terminal which is adjacent to their public market. From there, hail a motorcycle (habal – habal) and inform the driver to bring you to your resort. Best to arrange pick up with the driver ahead of time since cellphone reception in Tabuelan is intermittent and unreliable. 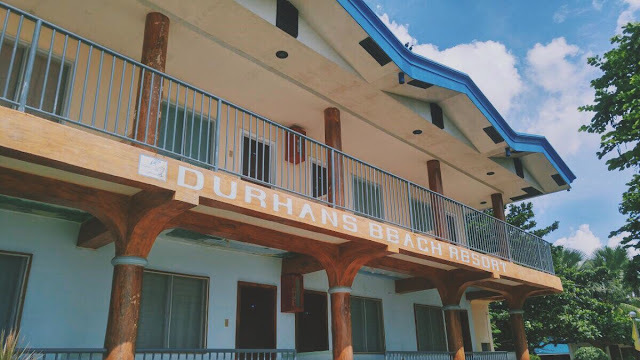 We stayed at Durhan White Beach and got their AH accommodation. It’s a bungalow that has one room with two bunky beds plus a good for two person bed. It includes a functioning refrigerator and a two -burner gas stove. Mind you, this is a non – a/c accommodation. I suggest you bring your own food and buy your grocery items from the city. Since we were stubborn and didn’t bring our own food, we bought our grocery items from their public market. Unfortunately, Tabuelan Public Market does not offer much variety and quality. We bought 3 kilos of Pork belly from one of the stalls. We bought the best – looking belly. And it was a total fail! When we started cleaning the belly, there was clearly an unpleasant smell from the pork. Yet, we still grilled and ate some of the pork. And we instantly realized that we were sold spoilt food. Avoid their wet market. Bring your own food. Luckily, Durhan White Beach has a dedicated restaurant which serves breakfast items and a sumptuous lunch. As expected, goods sold inside the resort are pretty expensive. Food price ranges from Php 150 – 300. If you plan on cooking your own food, you can use their dedicated grilling station and rent kitchen utensils. 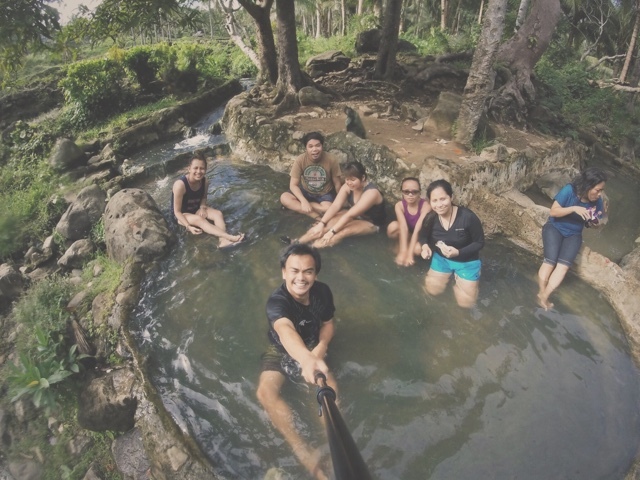 Frankly, there’s not much to do in Tabuelan. Just swim and enjoy the clear waters. You can also rent a motorcycle or bicycle and cruise around town. 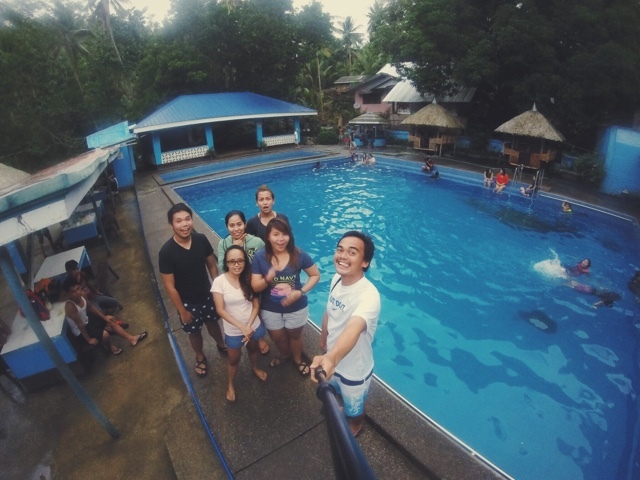 We definitely enjoyed our short weekend fun in Tabuelan. So don’t wait for this place to become mainstream. Visit now before it gets too crowded. 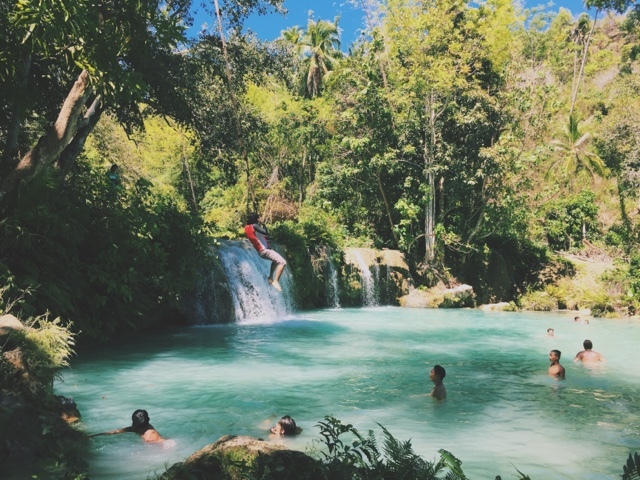 Siquijor - alternatively known as Isla del Fuego. 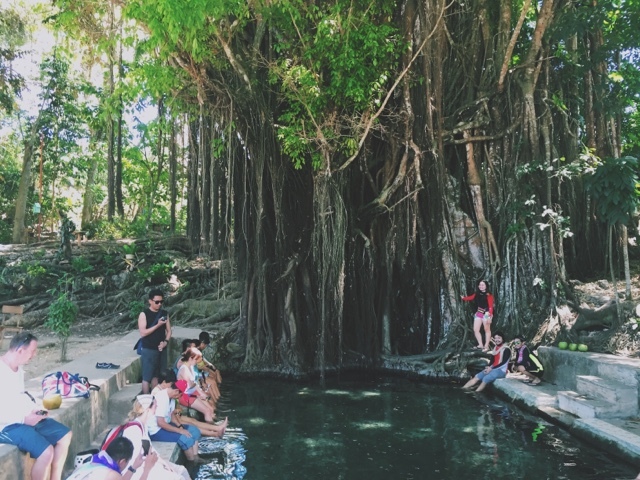 People often label Siquijor as peculiar. The island is quite known for being mystique and magical. These descriptions make the island more alluring to visit. Siquijor is located in Central Visayas. 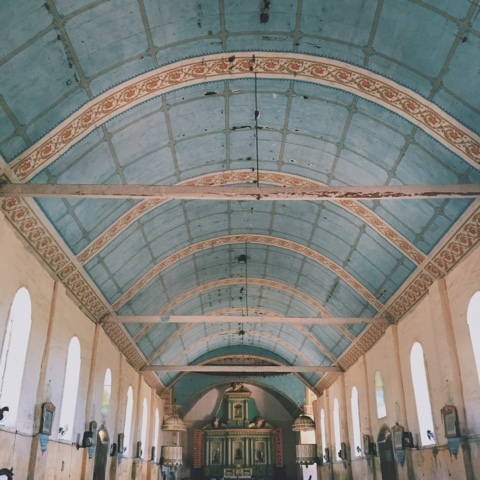 Its capital is also known as Siquijor. The area for most accommodation would be San Juan, Siquijor. This is where most backpackers look for affordable hostels. 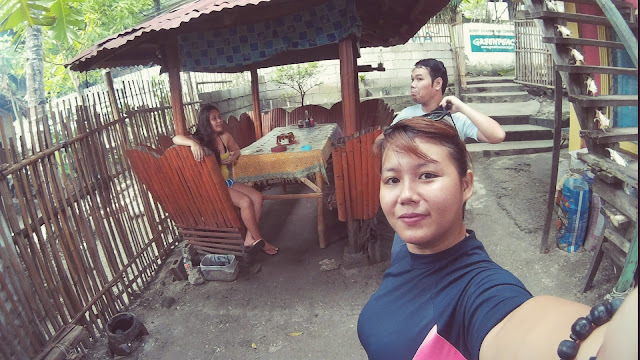 We had a cheap yet comfortable stay at Casa Miranda Guesthouse. 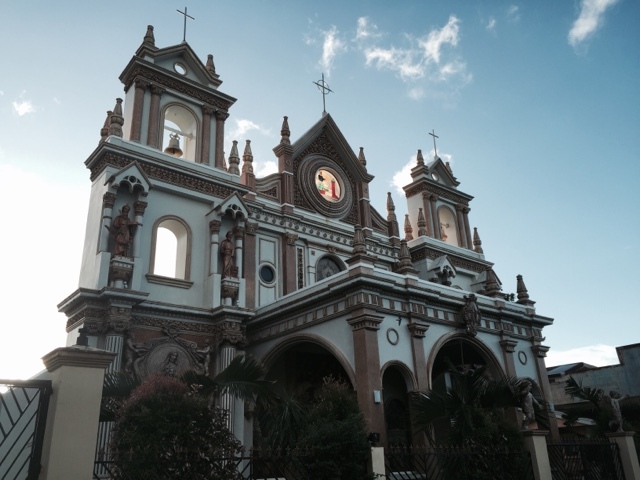 The place is strategically located along the roadside of San Juan. They don't have fancy rooms. 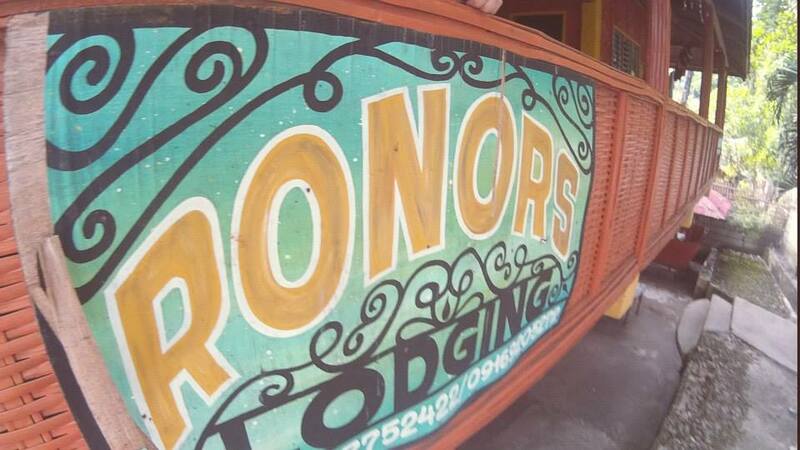 They only have fan rooms which cost around Php 300 - 500 per night. This is quite a steal considering that it's a beachfront property. 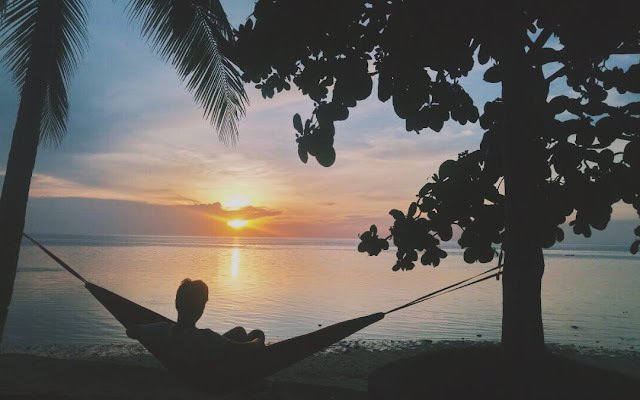 You'll get to enjoy the sunset whilst relaxing on a hammock, holding your favorite beer, and converse with people from different countries. Yes, most foreign backpackers prefer to stay in this underrated place. Also, Casa Miranda is always happy to serve their guests with food and drinks. You can have a 50 - peso meal consisting of stir-fried rice, sunny side up, and your choice of meat. There are other inexpensive inns within the area - Lorna's End of the World, JJ Backpackers, Charisma Beach Resort to name a few. Anyone can explore Siquijor's hidden gems in a day. There are a number of ways on how to tour around the island. If you are into driving then below are some options. If you want to just sit, enjoy the scenery, and let the driver do its thing, you can avail of the options below. Motorcycle with driver (Habal - Habal) - price differs. You need to have strong haggling skills. Since I have been to Siquijor twice, we have toured the island via scooter rental and a chartered Multicab ride. Often referred as the oasis in the middle of a bustling town. This is popular among the locals. Take a dip in their refreshing spring pool and swim amongst the fishes. A must visit place. This century - old tree holds hair- raising stories which contribute to the eerie feeling of the whole place. Also, get your toes ready for some nibbling action with their man - made fish spa. This church has unique wood flooring. You'll feel like you're being transported to the past with every step on its historical floor. This old structure looks stunning but needs restoration. Located just across St Isidore de Labrador Church. After descending for several steps, Cambuhagay Falls will greet you with its blue water and green scenery. A rope swing is also available for adventure junkies. Great beach with a breathtaking cliff dive spot. They also have a restaurant which is a bit pricey. 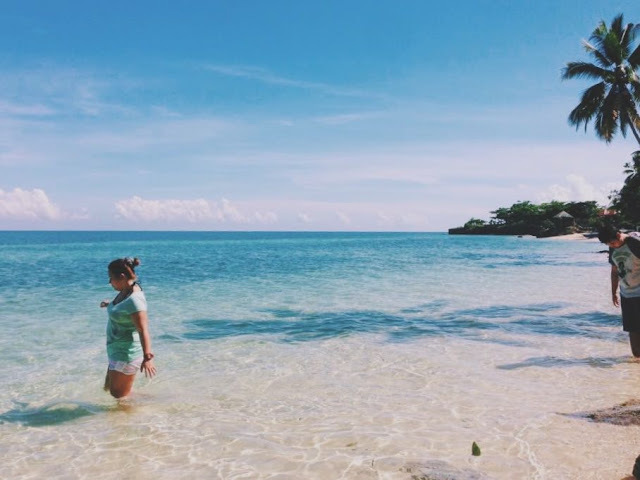 There are still other places in Siquijor that are worth a visit. Spend at least a week to experience its culture, talk to locals, and act like one. Ever - wondered how it feels to swim with sharks? Well, if you can't afford a South African Shark Cage Dive and Great whites scare you a lot (who isn't?). 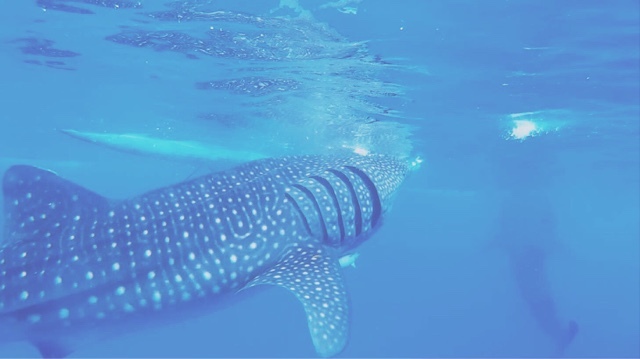 Then Oslob Whale Shark Diving is the perfect experience for you. Oslob is located in the southern part of Cebu. This is a 3 - 4 hour drive from Cebu City. This part of the province boasts awesome marine life. 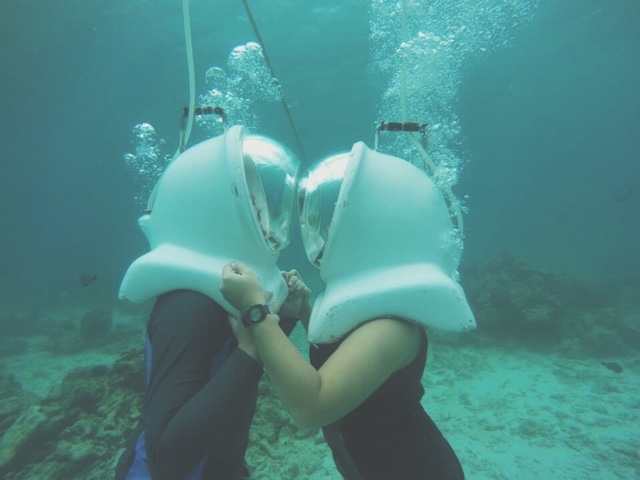 Great for scuba diving, swimming, beach bumming, and island hopping. 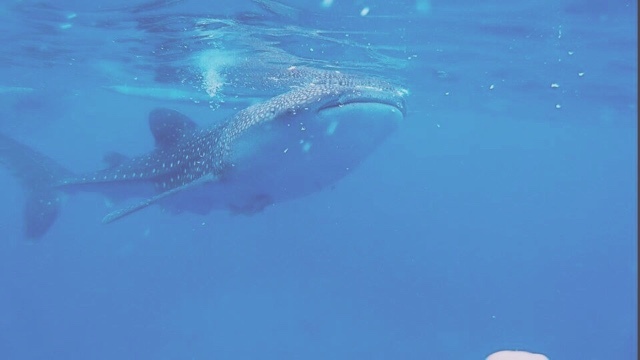 As per the locals, these baby whale sharks has always been in the area. They were even considered as 'pests' since these gentle giants are scaring away the fishes. And fishing is the common livelihood in the place. 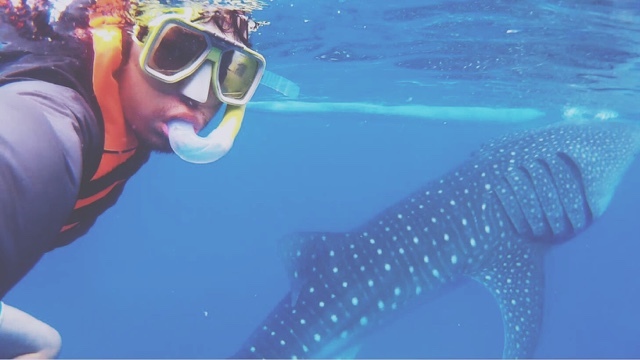 But everything changed when a foreign tourist hired a fisherman to bring him near these young whale sharks. 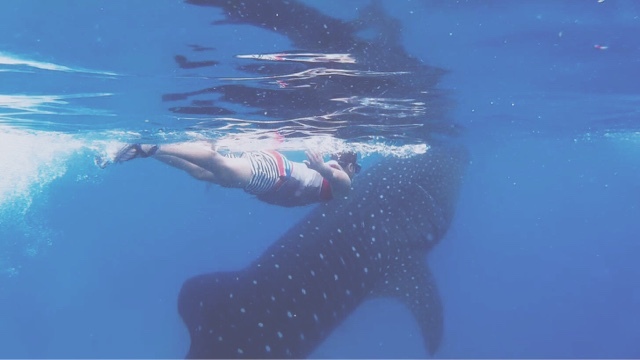 And that is how the famous Oslob Whale sharks attracted more tourist. From Mactan International Airport, hail a cab that will take you to Cebu South Bus Terminal. Hop on a bus plying the Bato - Oslob route. The fare is Php 155. Inform the ticket guy/driver to drop you off Tan-awan, Oslob or simply, Whale Shark. The bus ride will last for about 3-4 hours. Most of the time, buses will drop you off at a resort that offers the whale shark experience. You'll have to pay Php 100 on top of the Php 500 (local tourist) and Php 1000 (foreign tourist) whale shark watching fee. The Php 100 includes free use of lockers, restrooms, shower, and transportation going to the briefing center. But you can just walk directly to the Whale Shark Watching Briefing Station and skip the resort fees. Alternatively, you can also book a plane ticket to Dumaguete airport because it's geographically nearer to Oslob than Mactan airport. Oslob offers a variety of accommodations. Below are a few places to check. Once registered, you'll have to wait for your boat. Whale shark viewing is about 30 minutes. There are few things that the tourists should remember before the activity. 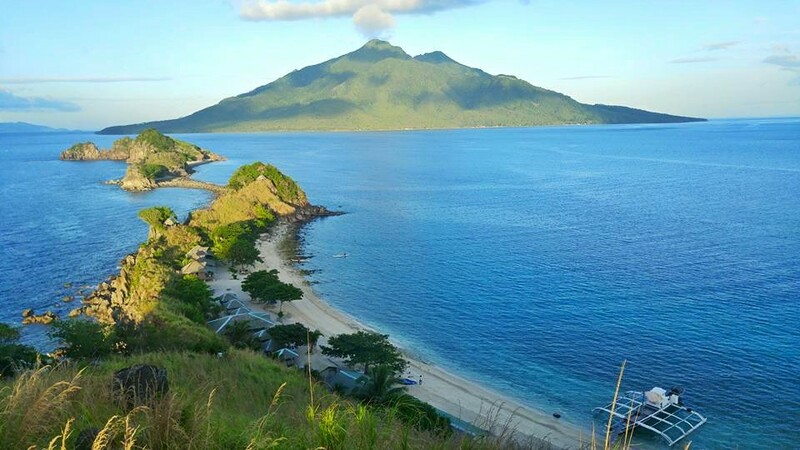 Biliran - one of Philippines' smallest provinces in terms of area. Known for its rich waters and majestic mountains. This underrated province has so much to offer. You just need to be assertive enough to explore it. 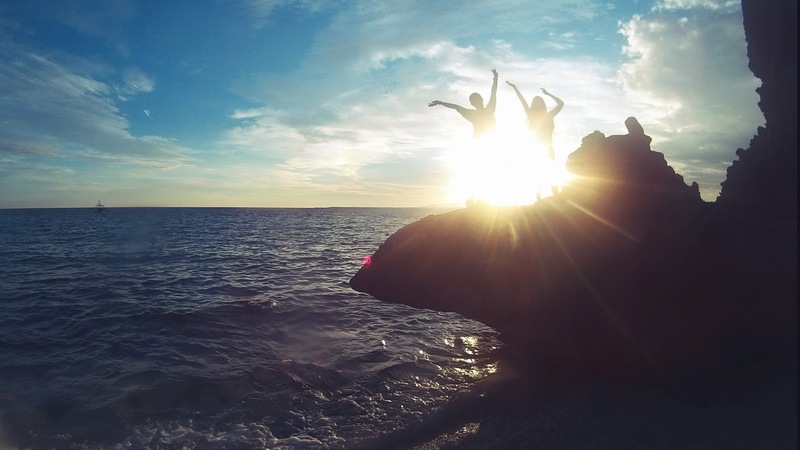 For our 2015 year-end travel, we have decided to explore this laid-back island paradise. Reaching the island is easy. You can access it via Cebu or Leyte. Since we are from Cebu, we bought our tickets from Roble Shipping Lines plying Cebu - Naval route. They have several travel accommodations. From The breezy economy to the exclusive cabins. We departed from Cebu around 8:30 pm and reached Naval around 8am. Sadly, we had to wait for another two hours before disembarking since the tide was low and the boat cannot go near the port. 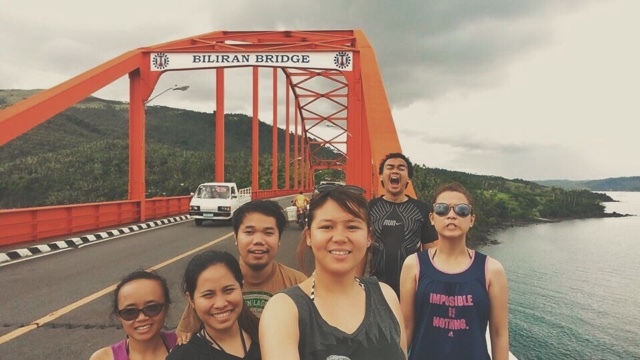 Finally, we reached Biliran island at 10am! We then looked for a boat that will take us to Maripipi - Sambawan. Unfortunately, boats going to Maripipi do not operate on a Sunday. So we have to do the more expensive route which is via Kawayan. We then rode a PUJ / Multicab that took us to Kawayan Port. It was an hour drive from Naval. We paid Php 30 each. Since we took the Kawayan route, we had to haggle with the boat operators for a roundtrip boat transfer. This is a direct transport from Kawayan to Sambawan. Normally, they would offer Php3,000 to Php 3,500. In our case, we got a lower price of Php2,800 since it was off-season and we were the only passengers amidst the rowdy crowd of boatsman. The boat ride was roughly an hour. It was calm and fast. 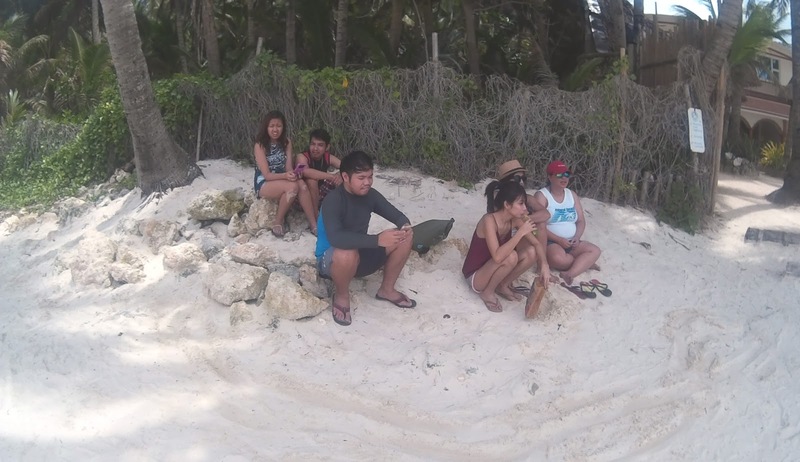 We reached Sambawan Island around 3pm. We were greeted by the caretakers' warmth. We paid Php 100 each for the entrance fee. They have few cottages available for day use Also, they have fan rooms for overnight use that can accommodate up to 10 people! But for budget travellers, you can pitch your own tent for only Php 100 per tent. The island is fairly small and interesting. 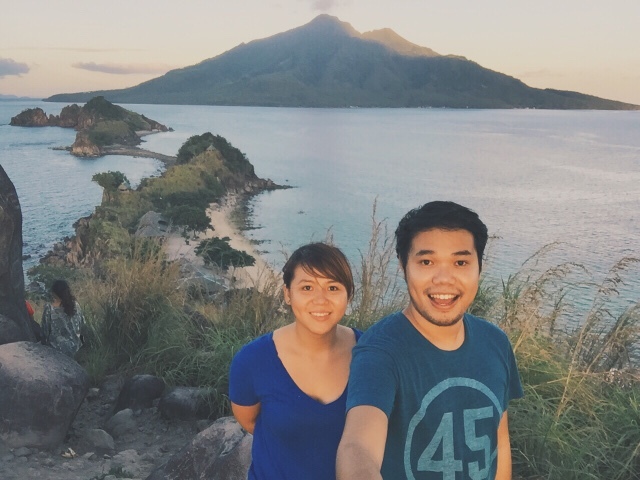 You'll see the whole island when you climb up the hill and get that famous shot that you always see on the internet. 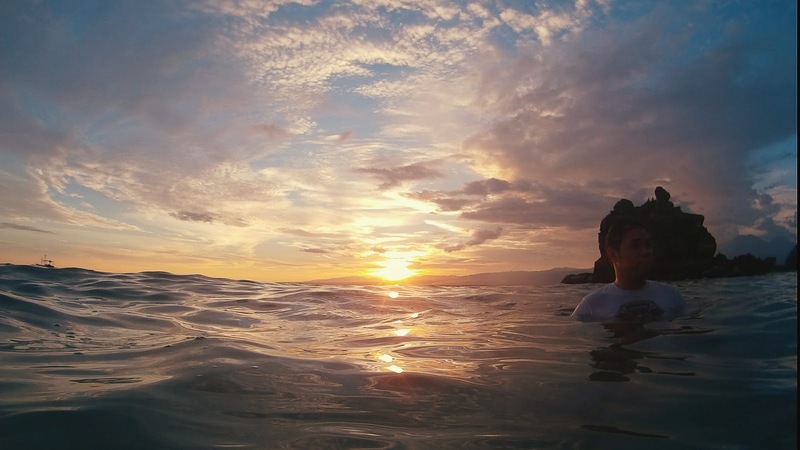 Aside from the clear waters and ravishing sunset/sunrise, you can also experience the flourishing life below the surface. 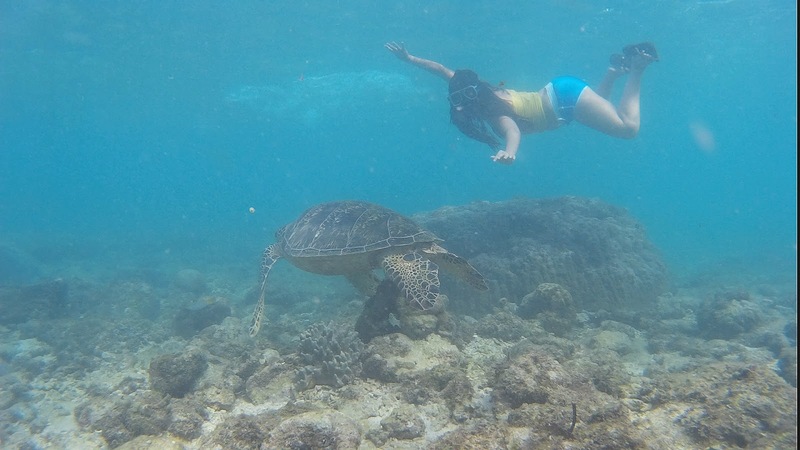 Sambawan is a great spot for snorkeling and diving. The island doesn't have tap water. Seawater is used in the restrooms. They have a small canteen that sells and cooks canned goods and other instant meals. But it's advisable to bring your own food and drinks. And for the alcohol lovers, the canteen doesn't sell vodka nor beer. We left Sambawan at 12:30 pm and reached Kawayan at 2pm. As expected, we were flocked by the habal - habal drivers (motorcycle drivers). Each saying that they can take us to Naval for Php 150 per motorcycle. But we are not yet heading to Naval. We want to explore the whole island the next day. And, we needed a place for the night. We found Estreller's Sunset View resort. Dubbed as one of the cosiest places in the island. It has a spring pool and a great sunset view. Eventually, we spent the night in this place. Before we hit the sack, we contacted a multicab driver that will tour us the next day. We called different drivers, but the price was just too high. Luckily, we found the best driver! The driver agreed to a 12-hour tour for only Php 3,000 (includes gas). Probably the most popular resort in Biliran. This is a haven for scuba divers and the like. This is just a few kilometres away from Agta Beach Scuba Resort. This resort is situated on a cliff. The best place to view the sweeping bay. A beautiful church in the heart of Almeria Town. This majestic manmade agricultural landform is no longer exclusive to Banaue. 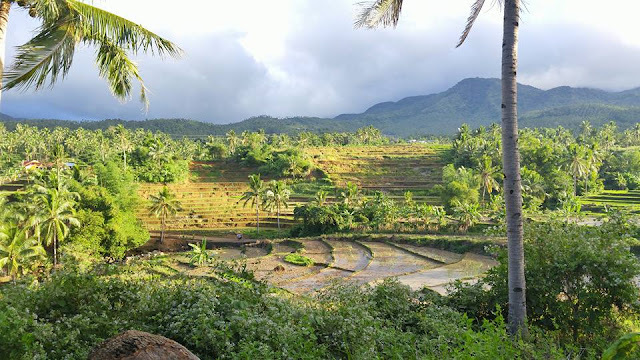 Yes, Biliran has a lot of rice terraces. A 30-45 minute heart pounding and nerve-wracking trek is needed before you'll see the falls. Be extra careful because the pathway is right beside a cliff. The pathway tends to be slippery when it's' pouring. The same pathway with Recoletos. Again, be extra cautious when trekking. 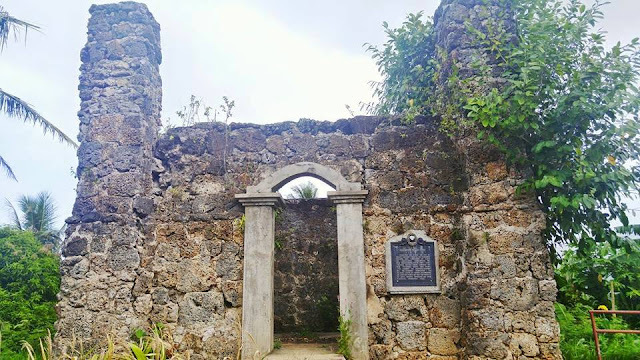 This connects Biliran to the rest of Leyte. 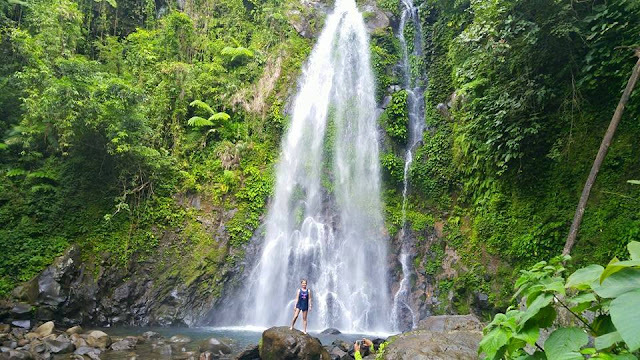 This waterfall is located not far from the national highway. There is a foot bridge that will take you to the falls. Unfortunately, the foot bridge is in a bad state. 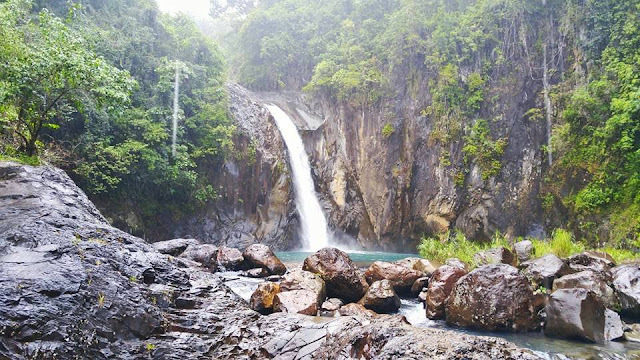 Kasabangan falls is frequently visited by the locals. They've managed to create a few bleachers near the area. Entrance fee is Php 10 adults / Php 5 for children. This is near the beach. 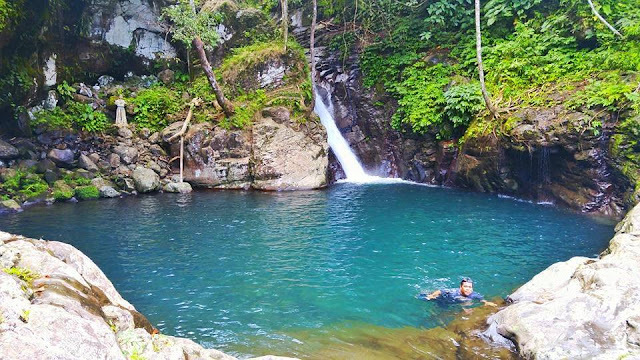 Dubbed as the sweetest water in Biliran. There is great potential in this area. This needs to be rehabilitated by the LGU. Hot spring is located is right beside the national highway. 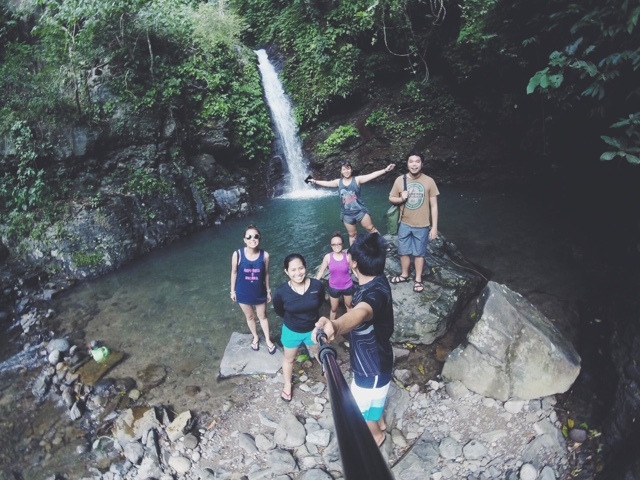 One of Biliran's best falls. This is the most known falls in Biliran. Another spring pool resort. By far the best, amongst all spring pools we've visited. 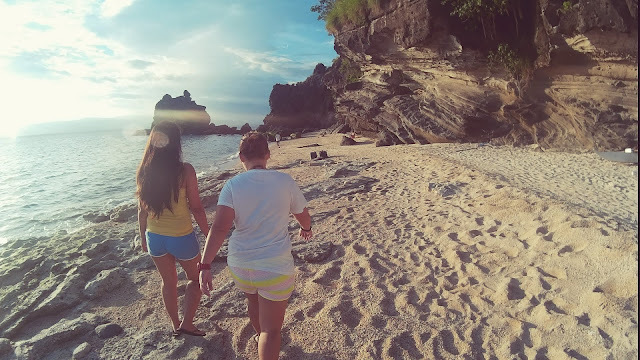 Biliran Island from Kent Lim on Vimeo. 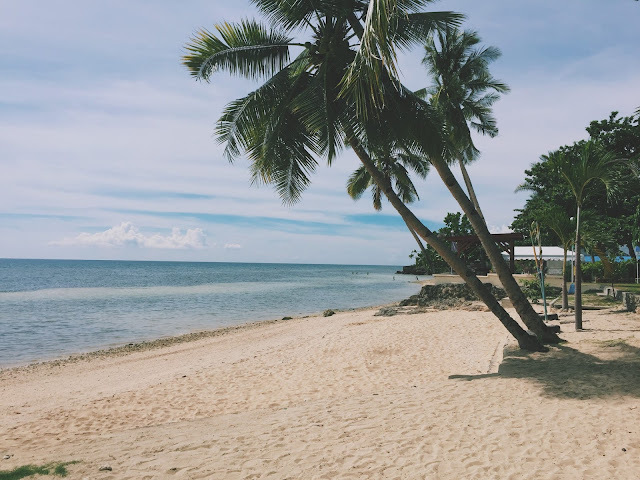 This humble island is located on the Northern tip of Cebu, Philippines. Public buses are available all day to take you to Bantayan Island. Take a bus going to Hagnaya Wharf. The ride will take 3 hours - 4 hours, depending on traffic. The fare would range from Php 130 - 170. Upon arriving in Hagnaya Wharf, a ferry will take you to the island. The trip would take up to an hour. The fare would range from Php 185*. Hail a tricycle that will bring you to your preferred resort or better yet arrange for pickups with the resort. The fare is usually Php 20 per person. The road going to Hagnaya is fairly passable. You can leave your car in a paid parking space at Hagnaya wharf. Price is usually Php 150 overnight. You can also bring your car to Bantayan Island via cargo vessels. Yes, everything in Boracay comes with a price - waayyyy higher price. But if you're part of Forbes' richest. This post is not for you. We all love to travel. But it's not that easy to show up in an airport and choose a random destination (how I wish I can do that). We have to carefully lay out a plan and that includes a travel budget. Boracay - one of the most visited beach in the Philippines. With its clear waters, powdery sand, various food hubs, and fun-filled activities, you'll easily break your bank in a matter of hours. Luckily, I've found a few ways to survive without draining my funds. 1.) Book an accommodation ahead of time - This way, you'll have the luxury to choose the best accommodation that is easy on the wallet. There are heaps of inns that offer an air-conditioned room for as low as Php 900 a night. When I was there, We booked with Tan's Guest House located in station 2. They have great rooms! Most rooms come with a fridge. And, it is literally 30 seconds away from the beach. Price starts at Php 1000. 2.) 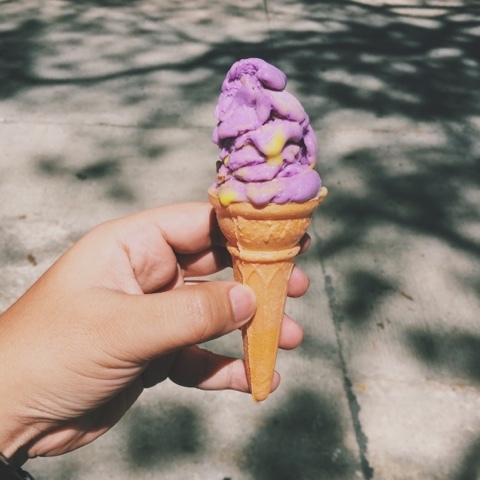 When exploring the island, be on the lookout for cheap eats - Boracay is packed with different food places. And watch out for fancy looking restos because you'll definitely shell out more notes for a pasta meal. Take advantage of local promotions. For instance, Tilapia 'n Chips' local treat - fish fillet paired with rice plus a glass of iced tea for only Php 99. Or you can also have your obligatory meal with Andok's. Gobble up their fried chicken and/or breaded pork chop. And thou shall not forget Mang Inasal! They'll be your life saver when the ultimate hunger kicks in. For under Php 150, you can enjoy their unlimited rice. And of course, how can we forget the all-time favourite turo turo / carenderia for only Php 40 per viand. 3.) Do not spend all your money on expensive concoctions/cocktails - Walk a few minutes to Budget Mart. Buy your favourite bottle and enjoy whilst viewing the sunset. But, if there's really an urge to buy that expensive booze to experience the ambience of the bar, go ahead! Also, most drinking hubs offer a happy hour that will satisfy your inner alcoholic self on a budget. 4.) 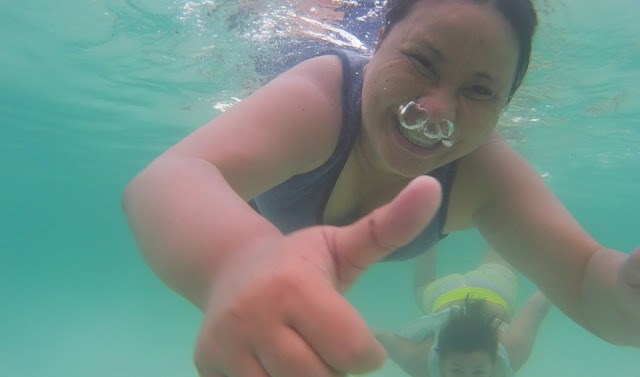 Do not rush in paying Boracay water activities - you'll never know if the next person you'll bump into would offer a lower price. Be patient and learn to haggle. For sure, you'll get a better price. 5.) Plan your activities - yes, this is the ultimate money-saving technique. Have a budget and stick to it! Well, that's an easy list! 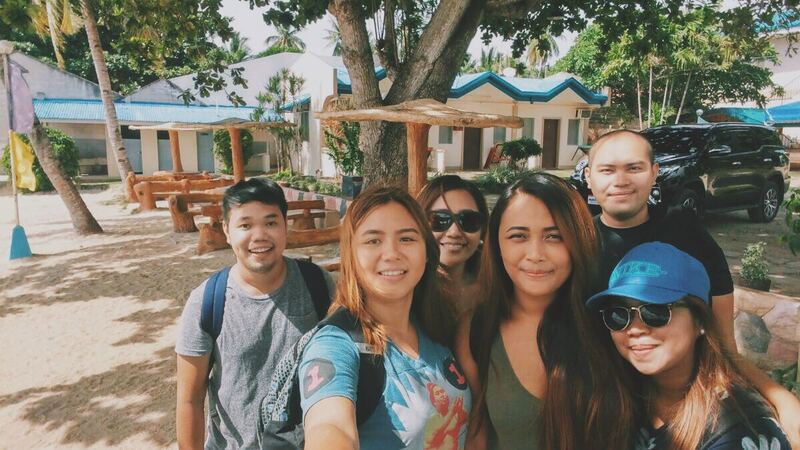 Good luck on your next Boracay Adventure! 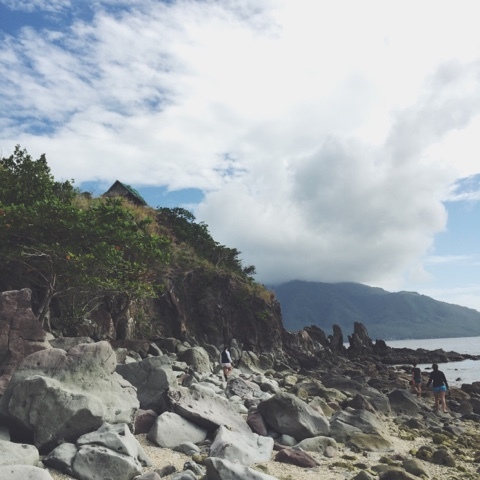 On the southern tip of Negros Island, a hidden paradise is awaiting its discovery. 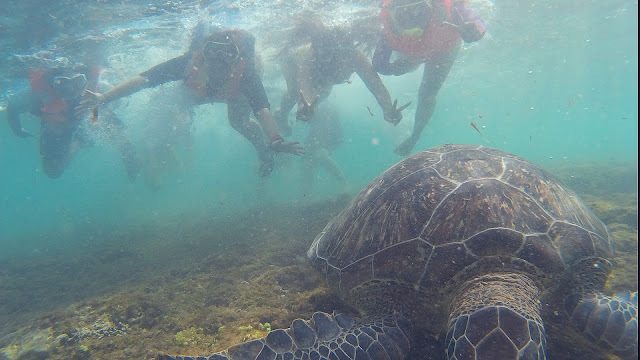 From majestic rock formations to rich marine life. Everyone should include this in their lists! 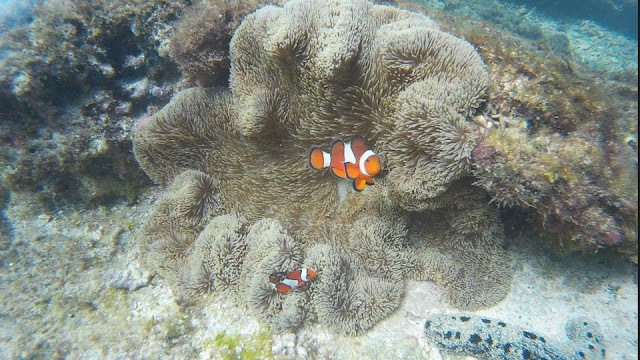 The island boasts several marine treasures. This marine reserve is quite popular to scuba enthusiast and snorkeling fans. Upon reaching the port, you need to fill out a few documents before you can hop into your wavy adventure. A tourism officer will assist you with all those stuff. 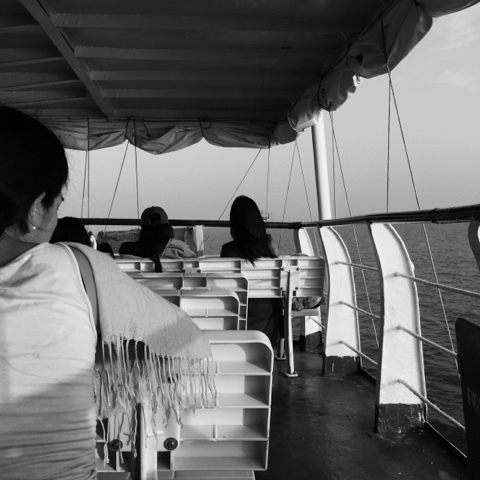 You need to pay the boat fee (standard fee) which starts from Php 2,500. But, I highly recommend that you get the bigger boats because the waves are challenging. There are a lot of homestays across the island. We stayed at Roners behind the school. We paid Php 150 each for the night. They usually put signages with prices. But if you have great haggling skills you can get a cheaper price. I really can't recommend our homestay for the reason that it's located behind a school - not beach front. You can get a beachfront location at Liberty Lodge for Php 250 a night. If you're into cooking your own food, you can bring your own portable stove and cook. You can also ask the in-charge of your homestay to do the cooking. The usual charge is Php 50 - 100 depending on complexity. Just remember to bring your own ingredients because items are a little bit costly on the island. Alternatively, you can avail of Liberty Lodge's accommodation with full board meals for Php 800 a night. 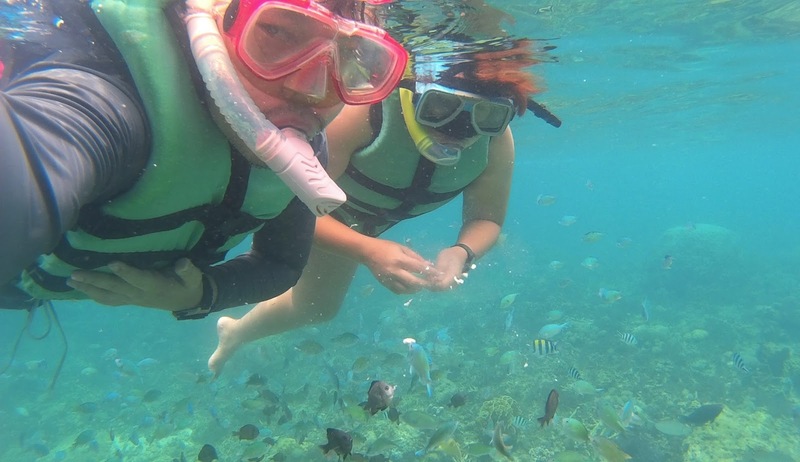 Obviously, you need to dive, snorkel, swim, and repeat. Aside from that, you can also trek for about 20 mins to the lighthouse. From there, you'll see a glimpse of the island. You can also immerse yourself in the community. Observe their activities. Talk to a local. Ask questions. Explore. And oh, one thing you need to remember. The island runs on a generator so electricity is only available for 3-4 hours a day; from 6 pm to 9-10 pm. So gather all your friends and explore this hidden gem.